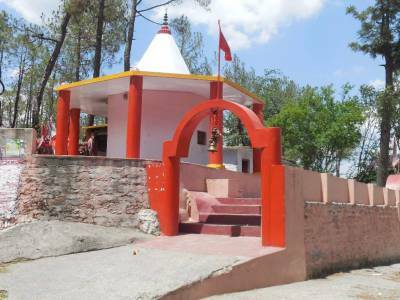 Kasar Devi temple is an ancient temple dedicated to Goddess Kasar Devi and located in a village near Almora, Uttarakhand. This temple is more than 2000 years old and the present form it was created in 1948 by Birla's. A little height above the temple is a Shiva temple founded by a south Indian. 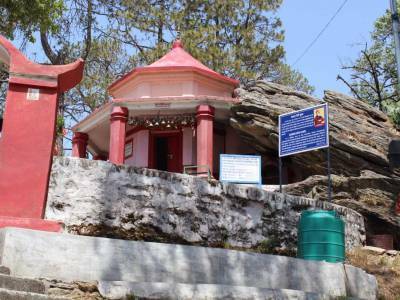 It is said that Swami Vivekananda, Swami Ram and others famous personalities stayed here for long and meditated at Shiva temple. 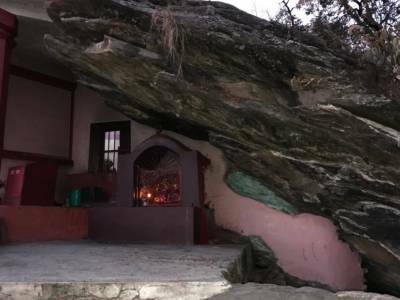 Kasar Devi temple is in Van Allen Belt, the enormous geomagnetic field seems to have caused special rejuvenation for people who have meditated here. Kasar Devi temple complex visited by many personalities of the counter-culture like Swami Vivekananda (125 years back in September, 1890 Swami Vivekananda performed most severe forms of spiritual practice in a solitary cave of this mountain), Sunyata Baba, Alfred Sorensen and Lama Anagarika Govinda, Bob Dylan, George Harrison and Cat Stevens, Western Buddhist Robert Thurman, and writer D. H. Lawrence were among Famous Personalities who spent two summers here. The other two famous places having similar high magnetic field are Machu Picchu in Peru and Stone Henge in England. 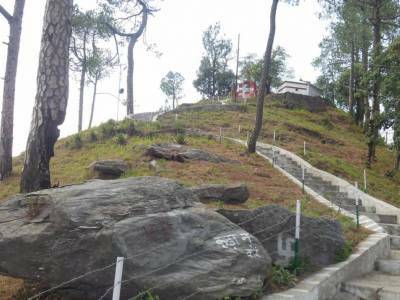 The area is a serene spot to visit with great views of the Himalaya Mountain, surrounded by thick green forest consisting of thick cedar, oak, pine and rhododendrons trees. Due to geomagnetic field in the region, it is a more peaceful and tranquil environment. Must Visit Place in Almora to experience this Phenomenon. 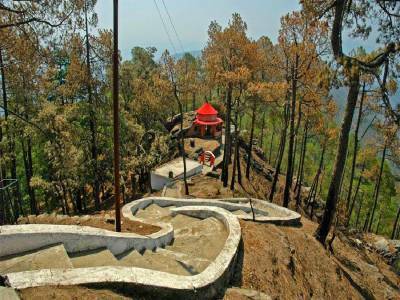 Get quick answers from travelers who visit to Kasar Devi Temple.